The incredulous reaction of many to the threatened three day strike by Air New Zealand engineers just before Christmas confirms many New Zealanders have no recollection of the days when this type of disruption was the norm. The decision to lift the strike notice means that their incredulity will remain for a little while longer, although there is no doubt that the engineers made the wrong call in threatening industrial action on the eve of the Christmas holidays. This year has seen more industrial action than in any year of the previous quarter century, and principally in the public sector. How much of this is because of pent-up pressures from the term of the previous government, and how much of it arises from a sense that this government is a soft touch is not certain, although there is no doubt the government’s dithering response to both the nurses and now the teachers, to whom so much was at implicitly promised during the election campaign and has yet to be delivered, is a factor. The nurses were fortunate in being at last able to reach a settlement while public support was on their side. The teachers still enjoy public support, although that will begin to wane if threatened combined strikes across the primary and secondary sectors early next school year become prolonged, and teachers become perceived as turning down not unreasonable settlement offers. The key point in such disputes is timing. When does the inconvenience to the public go beyond what is reasonable? In the case of nurses and teachers there is a general view that they deserve a better deal, hence a greater level of tolerance for their endeavours to achieve that. 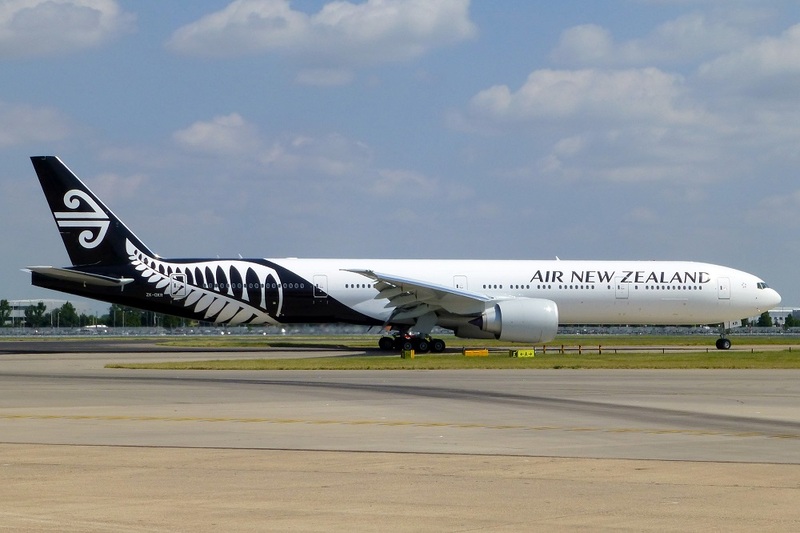 However, in the case of the Air New Zealand engineers, some of whom apparently already earn as much as $150,000 a year, it was difficult to see the same level of public support ever applying, especially given the level of public inconvenience threatened. The feeling that the travelling public was potentially being used deliberately and callously as a negotiating pawn, was never likely to be a winning one, and the reaction of recent days showed there was little sympathy for the engineers‘ position. Unlike the nurses and the teachers, they were unable to make the case they were undervalued and overworked to the extent the nation‘s health and the education of its children were being compromised. It was telling that the Prime Minister, who seemed almost studiously to avoid getting publicly involved in the nurses‘ and teachers‘ disputes because of the public support both enjoyed, was quick to step into the Air New Zealand dispute. She well recognised that even though the government had nothing to do with this dispute, it would bear the brunt of visceral public outrage if the engineers’ strike proceeded and people's holiday plans disrupted. The mounting industrial action of the last year is already becoming a awkward matter for the government, especially since the Prime Minister appeared during the election campaign to give assurances there would be no strikes on her watch. She will be very keen to calm things down, should the message being pedalled by the National Party that the country is on the verge of returning to the bad old days of the 1970s and 1980s start to gain public traction. Although a waning memory, the spectre of Don Goodfellow’s infamous response of all those years ago still looms. No-one wants those times to come to pass again. Goodfellow's despicable sentiments should stay buried with him. Can we get a reference to where/when Jacinda said "no strikes on her watch"? No debate required, she did not say it. Oh so the post-union era with lower labour income share and wages that don't keep up with productivity gains are the "good old days" as opposed to "the bad old days" where a single-income Kiwi family could have a decent middle class life and general optimism about rising living standards? Peter D was a member of the Labour party who sought to break the unions through the introduction of the Employment Contracts Act 1991. It's no wonder he has problems with the working class asserting their right to pressure employers for a fair deal. Michael Savage would be turning in his grave. While there may be many reasons to criticise Peter Dunne's long political career, the passing of the Employment Contracts Act 1991 by Jim Bolger's National government isn't one of them. You're right, my mistake. I had thought the ECA was part of the Rogernomics reforms but it was a National initiative of Bolger's 1990 National Government. Oh no! We sure don't want to return to those horrible old days! A time when the middle class was thriving. When a family could grow, buy a house, and comfortably live on one income, with mum staying at home to raise the kids. A time when workers actually benefited from a growing economy. Nah, we don't want to go back to that do we. FFS. In the case of Air NZ, management gave a directive for $30m in cost savings going fwd. How does that look? Salary earners were to be screwed while management award themselves bonuses. I am anti union 1970 style but a line had to be drawn here. This is the same management that brought us Ansett and Virgin and then had to be bailed out by the taxpayer. How many of them were run off for those fiascos I wonder. Could've achieved a good start on that simply through the exec team's salaries. i was around in those days when an ordinary worker got his fare share and it didnt all flow to the top. my boss at the time was earning only 3 times my wage and i was at the bottom now its more like 10 times from top to bottom. there has been a huge transfer of wealth with the introduction of the contracts act. it has depowered those at the bottom and empowered those at the top. im not saying things were rosy and yes some of the union leaders were scum and in it for the power. Yep , the middle 50% of out population could afford to buy the 1000s of homes being built because of a huge immigration/ labour import of the time..
History repeats.. except now the kiwibuild are "unaffordable"
Or rather the 'middle income' people, and young families being targeted no longer get paid enough.. have a far share of the national wage / salary bill. Yes the unions thru a lot of weight around.. starting back in the 52 wharf strikes. By the time the mid 70s/ 80s came along the wage issues where basically addressed..And the employers kept baiting the unions, the unions responded. Freezers MT, worker see a rat.. go on strike..
With the union employer relations having progressed to that level.. yes there was need to step in in the 80s and 90s. And has history/ cycles repeat, we are now back to middle NZ standing up and saying "houses are not unaffordable, we just dont have our fair share of the wage bill. There were posts on another internet forum from supposed engineering staff saying that basically virtually none of them earn anywhere near that much and the amount of overtime required to earn this made it near impossible. They were angry that the MSM were quoting a figure that didn't reflect what they earned to make them appear greedy. A bit rich Pete. As a politician who had his snout in the public trough for 33-34 years with a salary automatically set by the remuneration authority. It is that self entitled attitude which clearly shows you have no idea what it is like to work for a wage and how hard it is to negotiate a fair deal. At the beginning of your career you started out on the same salary as many high ranking public sector positions, without any bargaining whatsoever politician salaries soared while those who had to negotiate fell miles behind. There is no justification for this and listening to people like yourself lecture us on the morals of negotiating is just insulting our intelligence. Her statement that there would be no strikes was in respect of employers and employees who were participating in a proposed Fair Pay Agreement collective bargaining system that labour intends to introduce. The proposed new system would prohibit strikes and lock outs while negotiations were afoot, you can find further details on this proposed bargaining system here. It appears there may have been a "misunderstanding" by some people who did not watch the actual debate and believed Jacinda was saying there would never be any strikes (national or otherwise) while labour was in power. I hope this clarifies the issue but please feel free to ask any questions and I will endeavour to answer them. I had run across that partisan website whilst researching the provenance of a "no strikes" quote. Sadly, that article was rather slanted. Okay, extremely slanted to the extreme that it wasn't easy to disseminate what was actual data. I wasn't willing to go through the greater than one hour full debate to see the complete context. Can you provide the approximate minute for the quotation used so that I can see the full context of the "misunderstanding" that is referenced? I did find it interesting that the website you linked did not provide a useful video that would show the full context of the referenced quote, without wading through a more than one hour video. This is suggestive of less than honest "reporting". The site refers you to 59.05 at the video where Jacinda makes the comments that some people have "misunderstood". I would recommend watching from 56:43 as that shows the context of the discussion, and Jacinda's response was in respect of the proposed Fair Pay Agreement collective bargaining system. Here is a link to the video if you find the site itself too confusing or objectionable. Peter Dunne loses some credibility here. He contradicts himself by laying some blame with the previous Government while talking about strikes that happened in the 60 and 70s. I would suggest that the degradation of wages began with the introduction of Rogernomics and the period where, as some comments have identified above, Governments sought to introduce or limit the opportunities for militant unions to flex their muscles. I can't quite understand why Governments don't get it. They are supposed to represent the people, but some how in matters where it really counts, they somehow struggle. It's like they really don't want people to have a decent living standard while they say they do. Their actions do not reflect their words. In those 60/70’s days things just seemed to coast along, nice and comfortably, nice and complacently. Oddly enough Muldoon summed it up, inadvertently perhaps, when he said his mission was to leave the country no worse off than when he started, or something like that. Nowadays it would be suicidal for any prime minister to say that. You see back then there were no web sites like this good one available foe one to vent. Everything was tucked up nice and quiet each day, like the the TV Kiwi at close down. Springbok tour was I think the big circuit breaker of the status quo so to speak. In the wonderful words of that union official, it was that Minister of Everything Mudoon once again. Agree, much more is out in the open. It is easier to hold Politicians to account because there is much more information available. The question why are we not very good at holding them to account? Exactly. That is the rub who is accountable and how do you make them so. If you look at our councils it is even worse. Councillors come and go every three years. Who is voted in and who is voted out, makes not the slightest difference. The “departments” and their “executives” just carry on regardless with their own self ambitions and agendas. Not all of them certainly, but too many are a slippery, evasive, duck shoving, self serving and lax lot!. Yep, NZ Labour is still a neo-liberal party fundamentally. Every time Robertson mouths off about fiscal responsibility he is reinforcing neoliberal narratives. Well Mr Dunne, if the EMA hadn't been explicitly advising its members on how to essentially exploit workers, National and its supporting parties would most likely still be in power. But National was *implicit* in assisting this action and the voters could see it. There is *nothing* wrong with workers having a say in how the company operates and if they get mistreated by their employer *there is nothing criminal* in taking action to push back against *inequity* Its worth adding that the rancorous period of the 1970s labour disputes was due almost entirely to the actions of *employers and manufacturers* that were woefully unable to lift the performance of their businesses for one reason or another and chose to simply lower the cost of labour rather than build better businesses. In acting often in an all too brutal and vindictive manner manufacturers and employers provoked workers into protracted dispuites, which ultimately caused severe and unneccessary collateral damage and gave the false mandate to create the ECA legislation and look at how that has worked out...poverty stricken population. The strikes today are simply a reaction to business owners who are still behaving in the same vindictive and callous manner all these years later. Some things never change, but I'm glad the voters of this Country changed the government and booted fascist tories like you out of the Beehive and into oblivion.